The team at Olliers Motor Law are well experienced within the world of traffic and motor offences and have dealt with many clients over the years. Our Expert Motoring Lawyer Neil Sargeant explores the many reasons that people give for when caught Drink Driving. 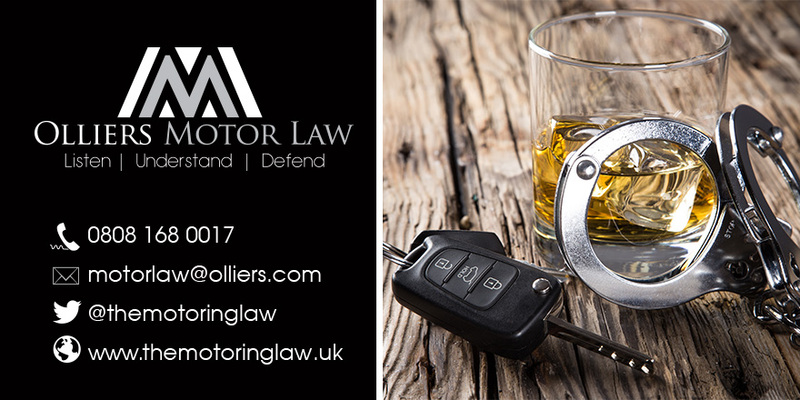 Having specialised in drug and alcohol related motoring cases now since 2008, I can safely say that very few of our clients actually intended to drink and drive. Many enquiries that we receive are from people who are embarrassed and/or ashamed to have found themselves in this position as there is still a significant stigma attached to those convicted of this offence. If the potential shame is so significant however, then why do so many people find themselves charged with drink driving? My friend’s comment is a very natural and human comment that comes from a place of not wanting to intentionally go out and break the law. The difficulty comes from not knowing exactly how you will react in certain situations (particularly when alcohol is involved) until you experience them. Having given the matter some thought, the following are the most common circumstances I feel lead to people being stopped and possibly arrested by police. It is no secret that alcohol impedes the judgement of even the most upstanding of our society and it can often lead to foolish decisions that are entirely out of character. Whilst alcohol may prompt some people to belt out that karaoke number they’d previously shied away from, it can lead others to think that they are fit to drive despite their alcohol consumption. It is easy to shrug off the embarrassment of minor blips however the consequences can be much more significant and far reaching should you be stopped for drink driving or, in the worst case scenario, run somebody over. A well-known side effect to alcohol consumption is that it can bring out a more aggressive side of an otherwise placid character. Things are easily blown out of proportion whilst under the influence and it is easy to lose perspective in situations that would normally be trivial. We speak to so many clients who have stormed out after an argument with their partner and not only can alcohol affect your driving, but your mood can also inspire more aggressive driving that may catch an officer’s attention. Even if you decide to go and calm down in your car, you are still at risk of prosecution for being drunk in charge of a motor vehicle which carries a minimum of 10 points and is classed as a criminal conviction. I would advise that you make sure car keys are not immediately available to you next time a drunken spat may occur, but that is ultimately another situation we never intend to find ourselves in. Whilst this may be speculative to a degree, we feel that if you drive a high powered car or have modifications then you are likely more of a target for police if for no other reason than your car is more eye catching. Whether this is because the police want the chance of driving your car (which they may have to do after an arrest for drink driving) or they think you may be a celebrity, they must have grounds for asking you to comply with a breath test. Every single one of us goes through a variety of challenges in our personal lives and it is difficult to not let that affect other parts of our life where our rational mind would usually take charge. It is certainly not uncommon for us to help people who had been caught whilst literally at their lowest ebb and the arrest seems like the latest in a long line of things that have gone wrong in their lives. Whilst we may not be able to help you with your divorce, bereavement or most other trials you face- an arrest for a drink driving offence is something we can help you with. Rather than letting this be the thing that gets on top of you- take charge and get help from expert lawyers who can give you all of the information you need to help you get at least one part of your life back on track! Another common account I hear is that a person had intended to leave their car in a parking bay or take a train home but when the time came, they may have not paid correct parking, ran out of money for a taxi/train or various other reasons that lead them to think driving is the best option. Planning ahead is the best way to never find yourself in this position and we have published various articles on how to plan ahead and help keep you safe and on the right side of the law. Regardless of the reasons you face prosecution, we can help you so take advantage of our free advice!